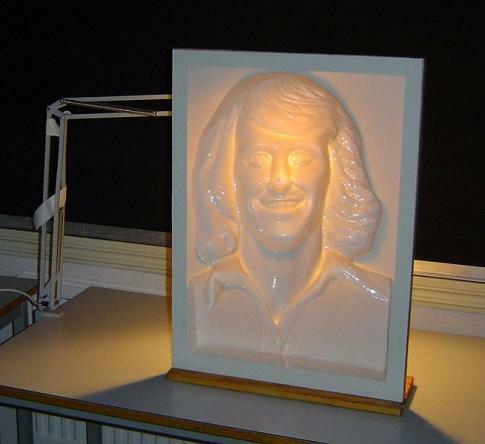 This picture of Bjorn Borg created and used in experiments at Uppsala University in Sweden appears to be convex in that it is raised outwards from the frame towards you. In reality the image is actually concave, it is pushed inwards away from you. This type of illusion is known as the 'hollow-face illusion'. imao means "In my arrogant opinion"